Also known as 'Kris plant'. One of the parents of A.x.amazonica. 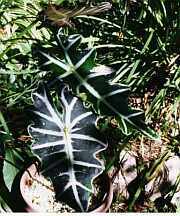 Its leaves change color just as A.lowii and some others do. The leaves are rather narrow and extremely wavy. 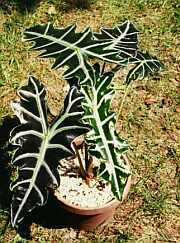 Another picture of the same plant.